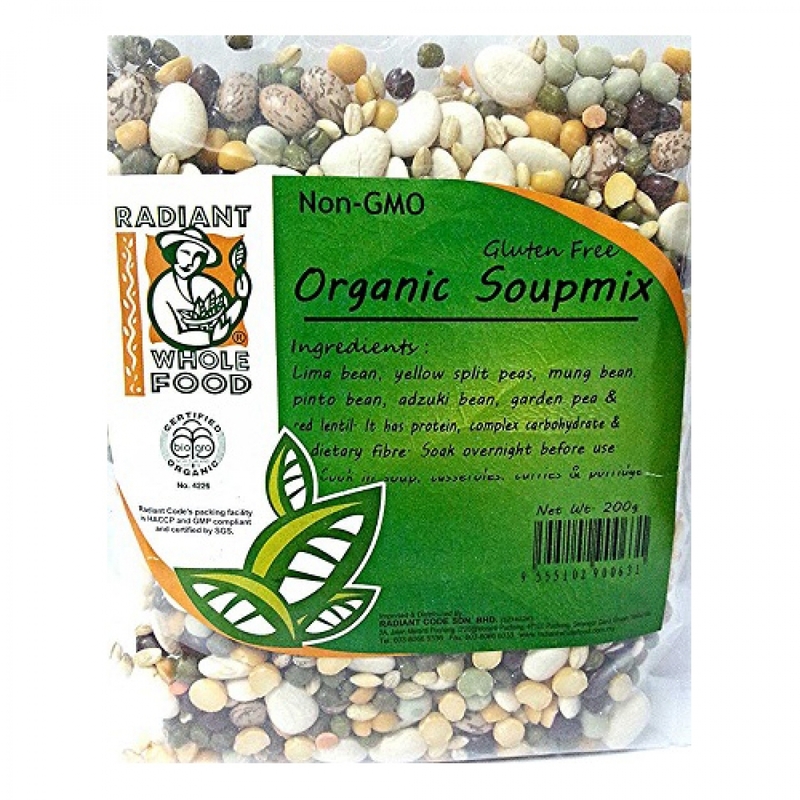 Radiant Organic Soup Mix is a blend of gluten-free legumes such as pearl barley, lima bean, pinto bean, yellow split peas, garden peas, mung beans, adzuki bean, red lentil. These legumes are high in dietary fiber which helps to keep our bowels healthy. They are also made up of protein, making them an ideal base to a vegetarian dish or a substitute for meat. Soak overnight before use. Can be eaten on their own as a vegetable dish or added to other vegetables, salads, stir-fries, savoury dishes, soups, and stews.